For those who still think of Audi, BMW, Jaguar and Mercedes-Benz as the only luxury car brands worth considering, it’s worth noting this: you’re in a minority. The reason? 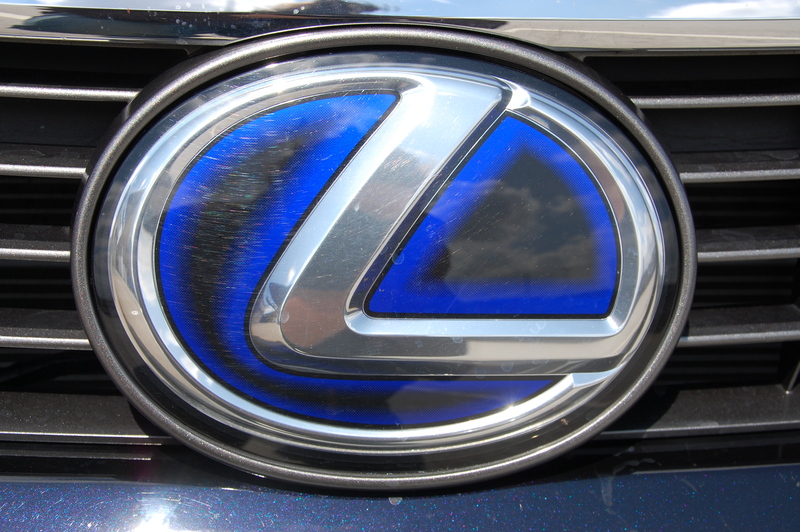 That new upstart from the Far East, Lexus, Toyota’s “luxury brand”, reached a milestone in the UK back in June – its 21st birthday. While it established itself on the market, Lexus majored almost entirely upon phenomenally high levels of build quality and reliability, as backed up by an amazing performance in the JD Power quality surveys. The model range gradually expanded into different sizes and types of vehicle but this apparent focus purely on quality, whilst reassuring, hardly ignited passions. Things began to change after Lexus’ first decade in Europe when the IS series of sporting saloons (and semi-estates) were launched. Smaller and rear wheel drive, the IS had BMW’s imperious 3 Series in its crosshairs. 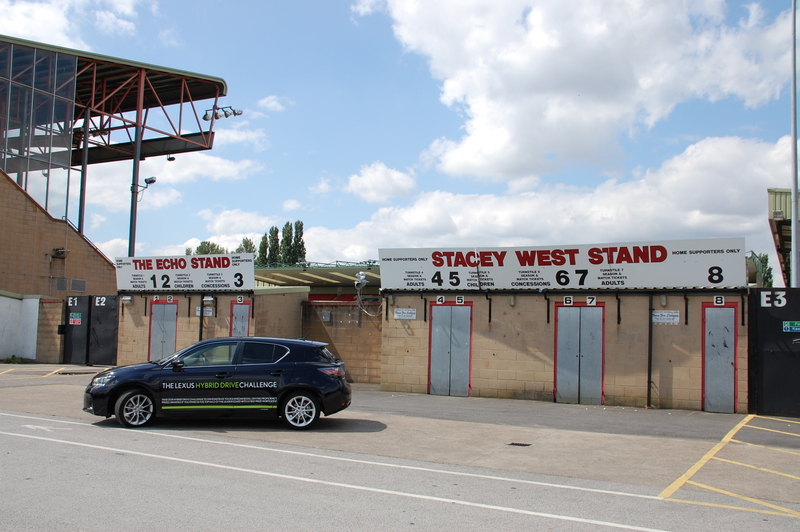 While it didn’t score a direct hit, it was a signal of intent recognised by customers and competitors alike, because what had been gained in sporting prowess had not been to the detriment of quality. And what the IS series’ chrome and red look rear lights did for modified car fans is the stuff of legend of McDonald’s car parks up and down the land. 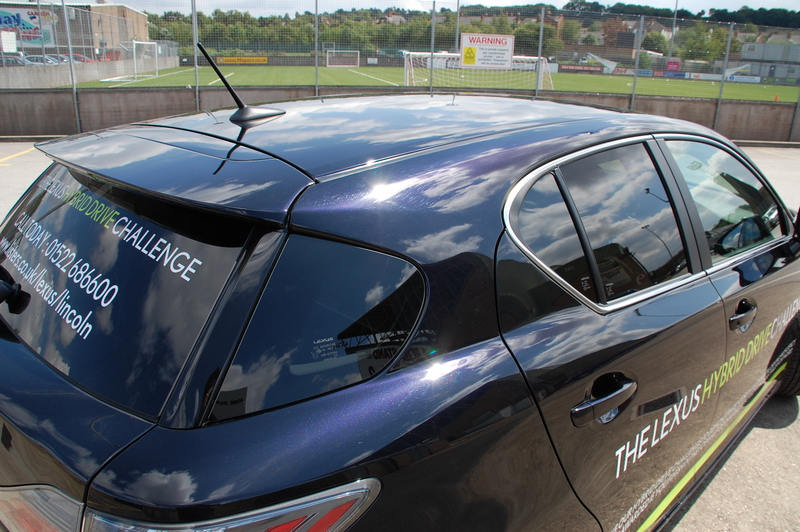 More recently, Lexus has chosen a further strategy to give it a USP in the luxury car market, one which utilises over ten years’ worth of research and development by its parent company – Lexus’ entire model range in Europe is to become hybrid powered only. For those of you who have lived in a sealed vault since the late 1990s with no media access whatsoever, their cars will be powered by smaller petrol engines than their competitors – the cubic capacity shortfall being compensated for by electric motors. The larger GS and LS saloons have already become purely hybrid ranges, as has the RX SUV model; the IS saloons will become petrol/electric next year when the third generation arrives. 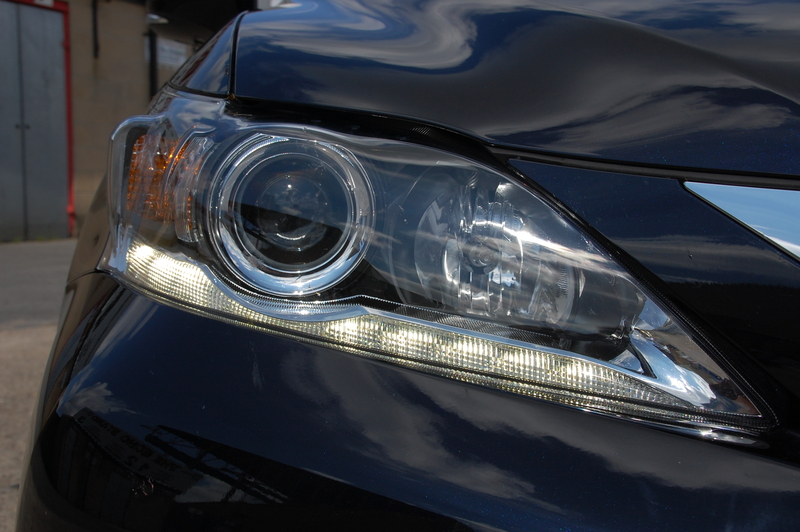 The hybrid models are easily identifiable by virtue of the blue glow around the edging of the Lexus logos on the nose and tail. 2011 signalled a further move by Lexus to erode the market supremacy of the established German players, by moving into the premium mid-sized hatchback market – the Japanese offering, the (hybrid-only) CT range went on sale in January 2011. Essentially the CT is a direct rival in terms of size and pricing to the Audi A3 Sportback and BMW 1 Series hatches, albeit with a much simpler range of models to choose from. All are mechanically identical with a refined 1.8 VVT-i petrol engine boosted by an electric motor (hence the 200h suffix on the CT, rather than 180h – equivalent power to a 2-litre engine with the electric power supplementing the engine). The powertrain is mated to a perfectly suited automatic continuously variable transmission (CVT) providing seamless progress. 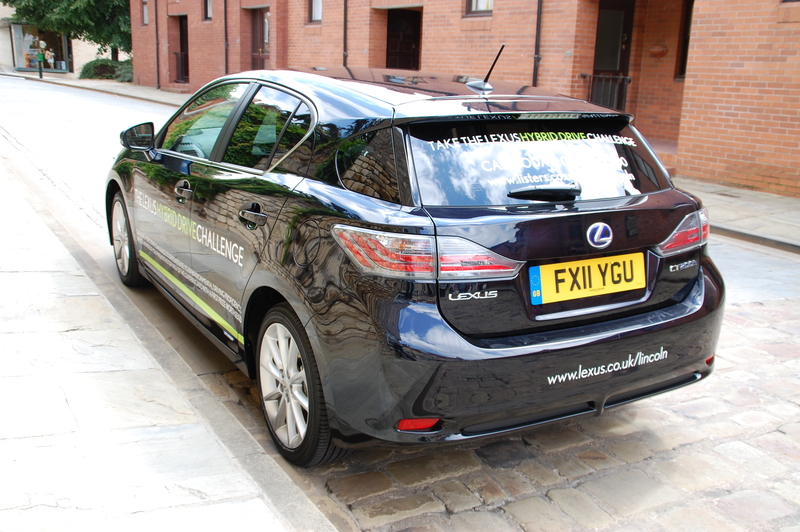 This low emission combination results in a sub 100g/km carbon dioxide output, which in turn ensures a group A rating for road tax, a 10% BIK rate for company car drivers and no charge for London’s congestion zone. The range comprises of three models: the SE-I (tested here), the mid-spec SE-L (£25,200) and topped out by a technology packed SE-L Premium at an eye watering £30,635. Having sat in examples of both ends of the CT 200h line-up, the SE-I model, whilst being very well equipped, lacks the sense of occasion of its costlier brethren. Maybe it’s the lack of the full colour display and fairly monotone grey interior of this example. Nevertheless the build and levels of perceived quality are high. Beauty, so the saying goes, is in the eye of the beholder – for this onlooker, I’m not really feeling it I’m afraid. It’s not a terrible looking car but neither could it be described as beautiful. Too many of the details look heavy handed, especially around the various converging lines of the nose and the bulbous rear haunches. The flipside of the coin is that it’s certainly not anonymous. As with many designs, it’s very colour dependent too – Arctic Pearl, for instance, suits the lines much better than the Obsidian Black of the test car. Inside, the look of the CT is much more cohesive and appealing to the majority. Despite this being a smaller and less expensive Lexus, there has been no significant drop in the meticulously high quality of plastics and switchgear that abound the cabin. In fact, the only gripe is that in entry level SE-I trim, whilst it’s well equipped, it looks a little stark, with little to break the monotony of the dark grey interior. Moving up a rung to the SE-L provides a full colour central display monitor which helps – as would one of the optional wood or carbon-look dashboard inserts. Once aboard, a Jaguaresque air of cosiness cossets the front seat occupants, with a high and wide central console between the seats. The dash itself slopes elegantly down from the electronic climate control functions and houses various buttons and dials including a dinky gear lever to access drive. A chrome-look central knob, similar in look to those that access the multi-media functions in cars so equipped, changes the driving mode from Normal, to Eco (maximising economy) to Sport (sacrificing some economy for greater responsiveness). To accompany the changes in modes, the instrument binnacle changes from glowing blue for the first two settings to a deeper red in Sport. 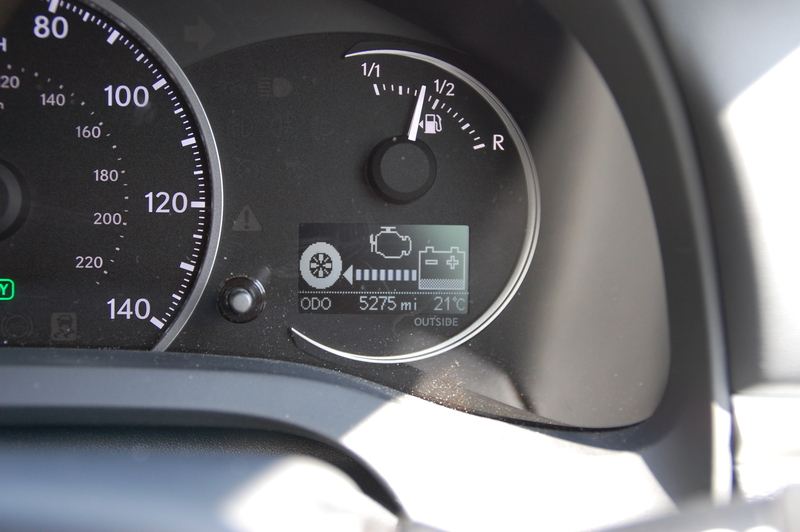 Additionally, the left-hand TFT dial changes from an economy/charging meter to a traditional rev counter. Seeing it remain on zero RPM while travelling in EV mode is rather disconcerting at first. The seats in the front are comfortable and grippy, holding you about the waist well without feeling too tight. The SE-I’s high quality seat trim is delightfully tactile and feels expensive. 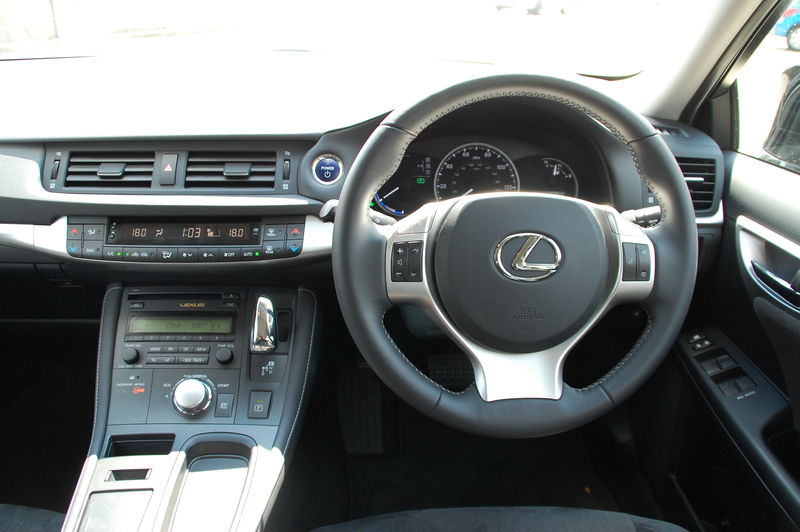 The manual adjustment takes place over six planes, while the steering wheel is adjustable for both reach and rake. Long distance commutes will leave drivers showing no signs of fatigue. The rear seats also share a quality of Jaguars of old, unfortunately – they’re not the most spacious. The actual bench itself is well shaped and comfortable but there’s a paucity of legroom. Sitting behind the driver’s seat in the position I would need it, my six foot frame felt squeezed into the seat back. Having my legs splayed was fine but that would make a three in the back journey quite an intimate drive. 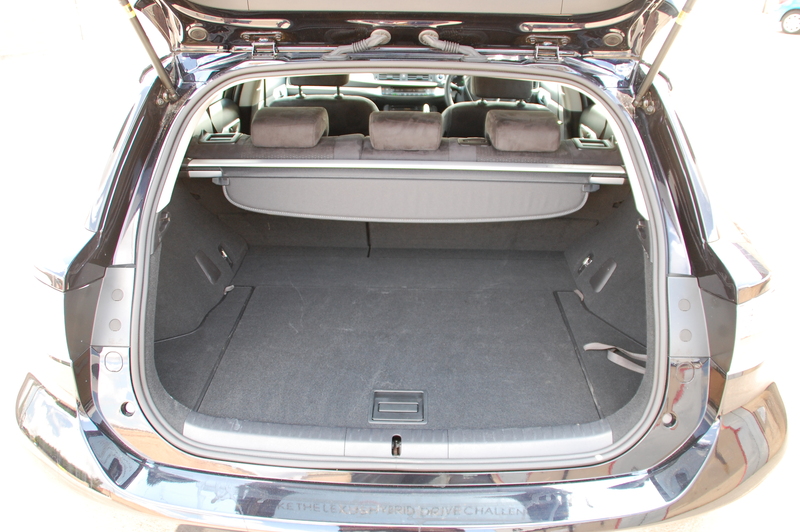 Children will fit fine though and the outer two seats have ISOFIX mountings for their seats. When you are inside and comfortable, a sense of wellbeing pervades due to that quality cabin. The plastic mouldings feel inches thick such is their solidity, whilst selected areas close to fingertips are swathed in stitched leather. Inevitably for a car at this end of the market, albeit premium, some lower grade plastics are present, but they’re limited to areas where digits rarely explore. Practicality is provided by the hatchback body and the split folding rear seats but those moving across from the likes of a Focus, Astra or Auris will be surprised at the shallowness of the boot and the height of the sill itself. This isn’t due to poor packaging – quite the opposite in fact – it’s the result of the hybrid batteries that packaged in under the boot floor. That said, 375l, including the space in the well under the boot floor, is tight for a car of this size. With the rear bench tumbled it extends to a more useful 985l. 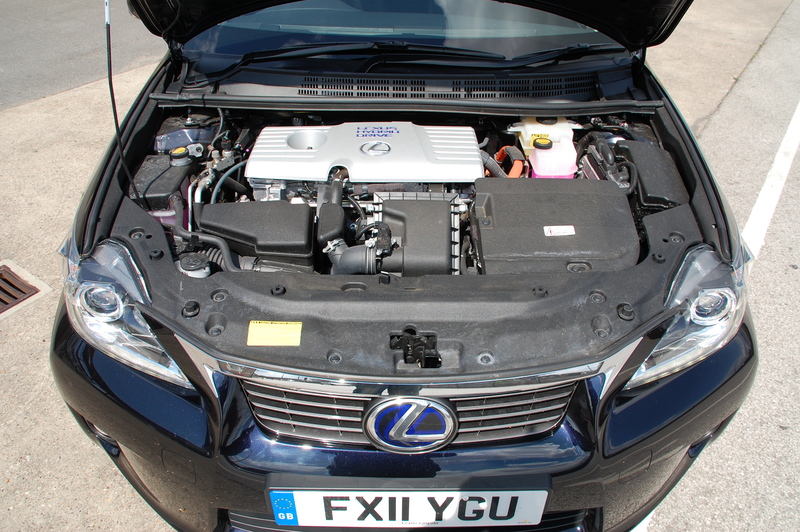 Although this is the entry level CT 200h, the specification tally is impressively long. The highlights include traction control, eight airbags (and a 5 Star EuroNCAP safety rating), LED day running lights and tail lights, 17” alloy wheels, privacy glass, dual zone climate control and Bluetooth connectivity via the six-speaker Panasonic stereo. According to the brochure, those 17” alloys are ‘optimised for an agile and dynamic ride’ whereas the 16s, of a slightly different design, are said to promote a ‘refined and comfortable ride’. The larger wheels fill the arches in a more pleasing way but I suspect that they and the low profile tyres (45% section as opposed to the 16 inch wheels’ chunkier 55% section rubber) combine to provide the CT with its biggest bugbear – a harsh ride quality at urban speeds. The level of underdamping is quite surprising and it feels jittery over all manner of bumps and ruts. 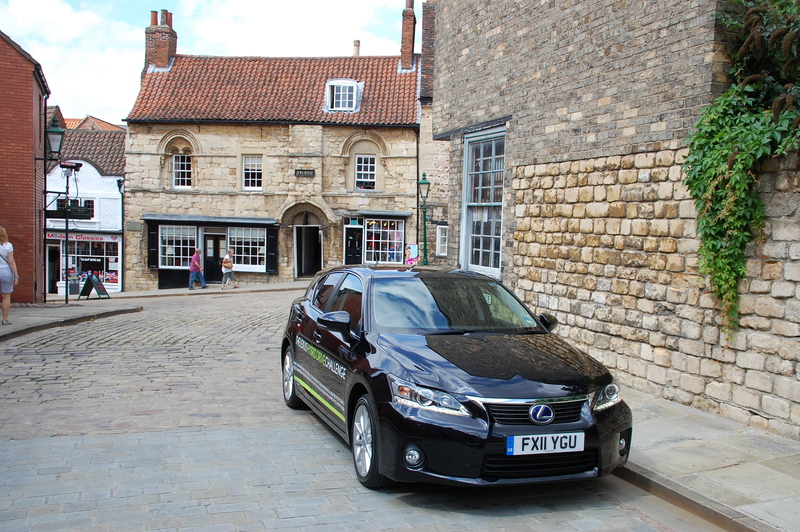 A 30mph dash down Lincoln’s poorly surfaced High Street, where undulations are rife, transmits all those asphalt imperfections into the cabin. Escape the urban confines and the story is very different. On dual carriageways and motorways, the CT feels unshakeable in its grip, if mildly understeering at the limit, showing no signs of being swayed by side winds and with superb body control offering no floaty ride sensations. Switch back to make the return journey on twisting B-roads and the tale continues to delight, proving to be a surprisingly chuckable companion. Again, ride composure here is superb, the front wheel drive chassis remaining composed and showing appreciable of agility. This willingness to reward as a enthusiasts’ car is further illustrated by the strong feel for what the front wheels are up to, channelled to the driver’s palms and fingers via the chunky, leather-clad wheel. So well honed in this regard is the chassis, suspended by MacPherson struts up front and double wishbones at the rear, one can’t help but think that a sporting nature was of paramount importance to take the fight to the 1 Series, but with insufficient consideration for that low speed ride quality. Although I didn’t have the opportunity to sample a CT on 16” wheels, I’d be surprised, given how well developed the handling is, whether outright B-road prowess would suffer considerably in the pursuit of a better urban smoothness. Smoothness is the overriding impression of the engine and transmission package. On the face of it, an automatic with a 1.8 non-turbo petrol engine and boost provided by an electric motor, does not sound to be a particularly compelling performance package. It’s no out and out speed machine but pace is good when on the move, a dab of the throttle engages the battery power to assist the engine for added go. Certainly the headline figures of a top speed of 112mph and a 0-60 dash time of 10.3 seconds hardly whet the appetite. That ease of use and powertrain refinement makes driving the CT an easy experience though. Up to 25mph, it works purely in electric mode, the engine replacing the battery power beyond that, before they work in unison at higher speeds and under harder acceleration. 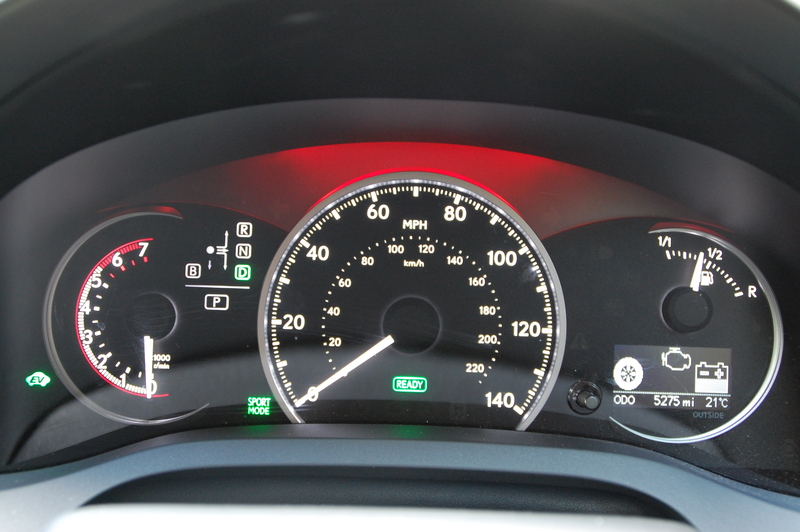 The display on the dash informs the driver in an instant which power source is being used and, when harvesting of kinetic energy is occurring, the rate at which the battery is being recharged. As a result, for a car of this size, fuel economy is remarkable with a claimed official combined figure of 68.9mpg, which feels a realistic proposition. It’s a good job the economy is so good as those batteries take up a lot of valuable space for ancillaries and systems, not least the fuel tank, which is small at just 45l in capacity. 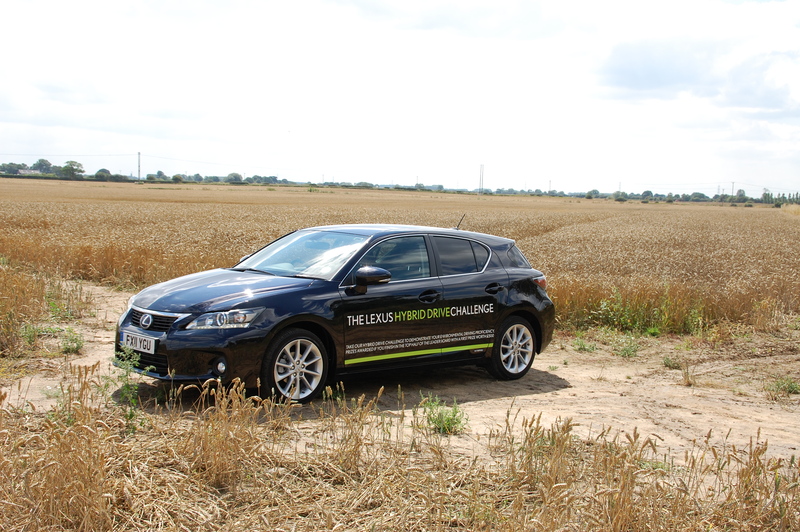 When it comes to the crunch there are two ways to look upon the Lexus CT 200h. The first is to consider it as a direct rival to established premium European models of a similar size. It’s comparable in ability and desirability to many of them but doesn’t move the game on in a manner that people will actively avoid Audi and BMW showrooms. As a first effort in this sector though, it’s a good one – it’s just not great. However, it has a rarity that the German marques cannot hope to match, which for many buyers could tip them in the Lexus’ favour. Additionally, that hybrid technology promotes strong residual values as more and more buyers are becoming very conscious about how much time and money they’re spending at fuel pumps. 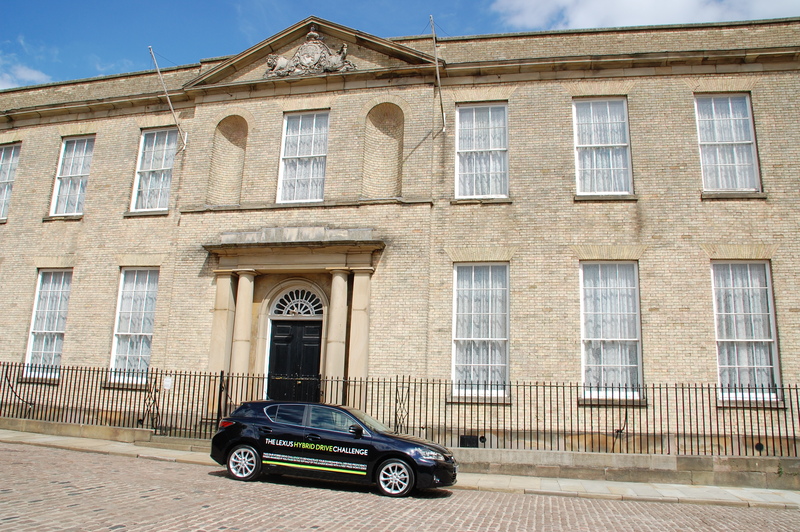 For London commuters, where CTs attract no congestion charge, it could become the default choice, but here in Lincoln and the surrounding county, this is much less of an influence on buyers’ decisions. 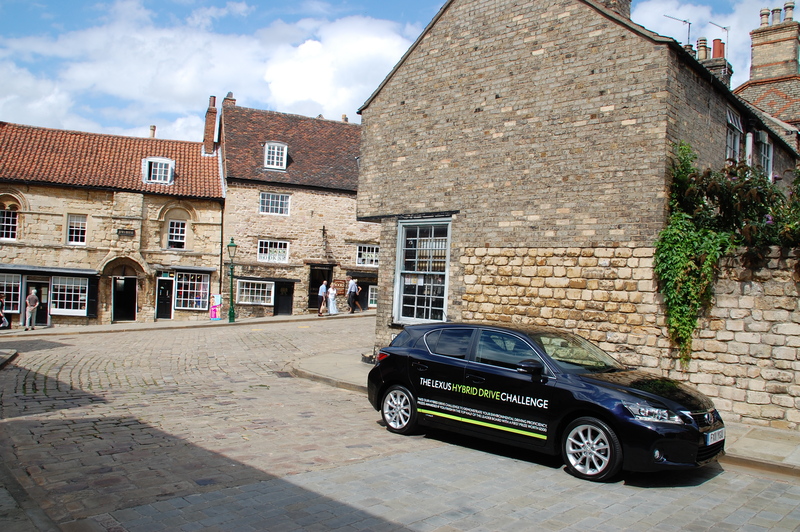 The second way to consider it is as a family-sized hybrid car and here the CT goes straight to the top of the class. Saying that, it’s important to remember that there are few rivals as yet in this particular segment, the primary one of which is the closely related Prius. Talking of the Prius, the plug-in version will soon be on sale, allowing a greater distance and speed to be travelled in full EV mode. Logic dictates a similarly equipped CT would follow but there’s no confirmation yet. If you choose to buy a CT 200h, you will have bought a superbly built, mechanically refined, fine handling, economical and ‘greener’ hatchback, but one that lacks the interior space of its rivals and has questionable looks. The SE-L is probably the pick of the range in terms of equipment compared with price but make sure, unless you rarely venture into your local city centre, you specify yours with the 16 inch wheels for the best combination of ride comfort and handling. 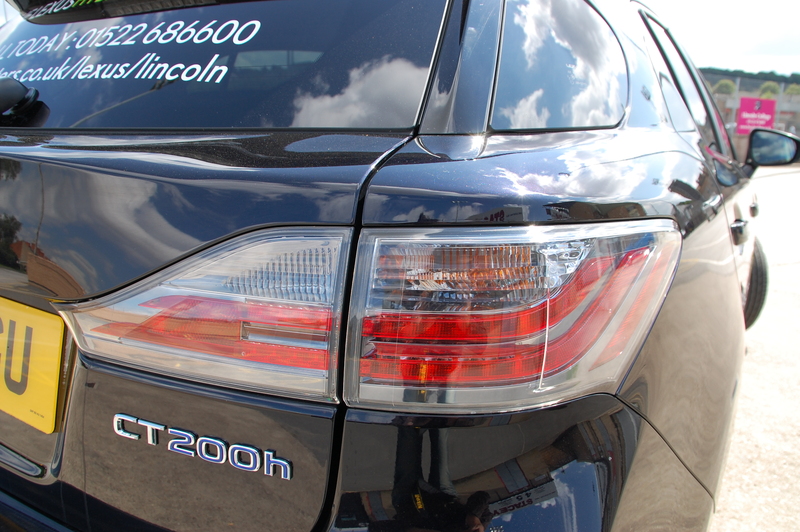 Many thanks to Lexus Lincoln for their excellent service and loan of the CT 200h.